Let's Bowie is the ultimate tribute to David Bowie. Available as a 5 or 6 piece fully live band, Let's Bowie recreate Bowie's renowned live performances with uncanny accuracy. The band is most suitable for corporate events, parties, pubs and weddings. The band was formed at the end of 2009 when Jovan Matic came over to London from his native Serbia. Jovan had been touring extensively across Eastern Europe from 1992-2009 with "the Gift" tribute band, paying homage to (amongst others) David Bowie, Depeche Mode, and the Cure. 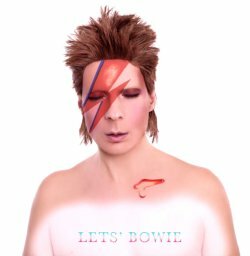 All the members of Let's Bowie are highly experienced professional musicians. Members of the band have worked with a diverse range of artists and acts such as Paul Jones (Manfred Mann), Clare Teal, Waterloo UK, Marcus Malone, Yes!! !Brazil, and the Tropicalia band.